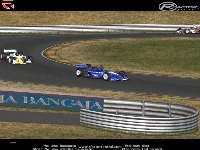 An international fictional racing series with Lola B02/00 chassis. We have fully permissions to use the shapes from iDT, so the hole rest is self-made. -VERSIONS BEFORE 2.2 (1.0, 2.0, e.g.) ARE NOT REQUIERED! Patch fixes the wing problems by some users. 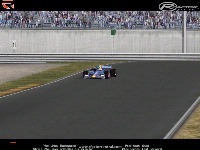 Version 2.0 will be released at the end of may, we are working hard to make new realistic physics. -Drive your car and press the "boost-button", you can see, the car's acceleration is improved, and also topspeed at the end of a straight. !NOTICE! : Don't boost to much! Boost only for 3-4sec and then let the car drive normaly, spare the engine! 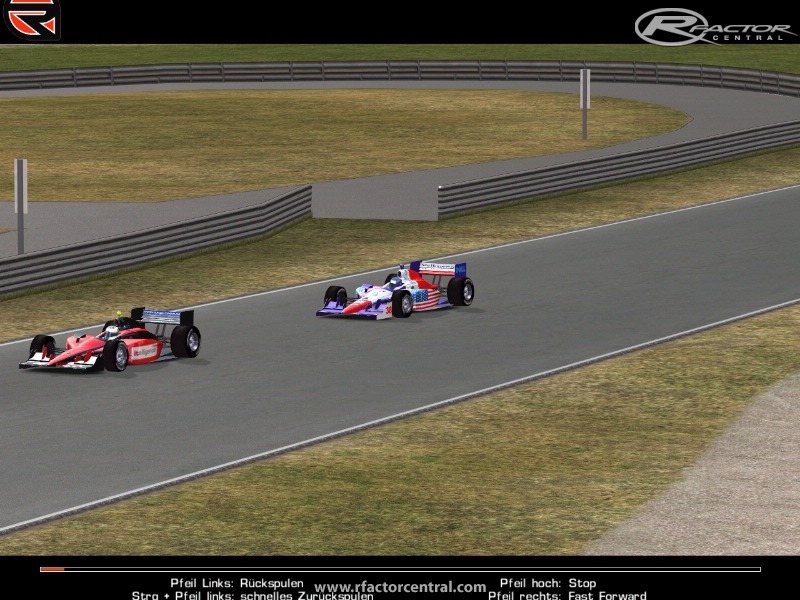 And also do not try to overdrive it, not more than 317kph! 10th September: New Screenshots aviable at rfactorcentral.com! -New steering wheel replacing the old champcarlola one. -New self-made external sounds replacing the f1c ones. 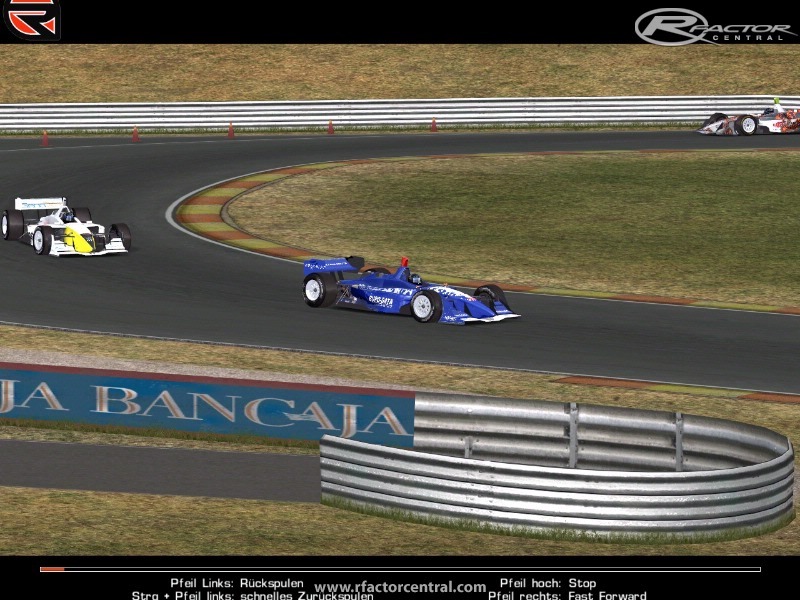 Thanks for the carshapes of iDT Simulations! Thanks for the sounds of FSONE! The other parts were fully selfmade by use in v1.0, part of the headphysics and other physics were also from iDT, but only in the lower versions than 1.0. 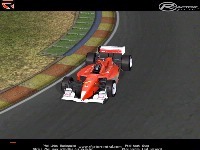 Version 1.0 will be released at 2nd race, 09/11/2008. Can't download... link gives me 403 forbidden. Help please. I dl version 2.2 today. Using windows 7 64 hp. I got a msg that the program may not have loaded correctly. A game check showed it was not in the game. Tried again, got the same msg so tried using recommended settings. This time no install issue msgs but it's still not in the game. 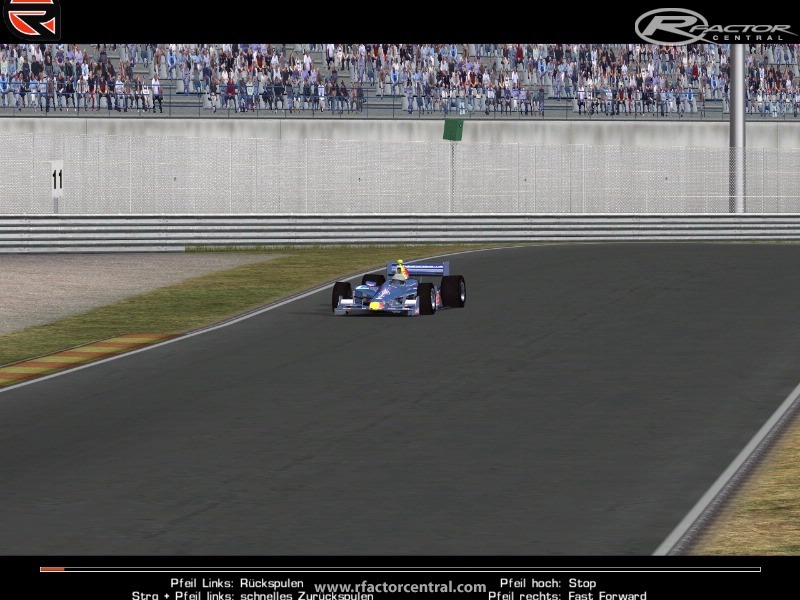 Hey guys, I am a noob to rFactor and I was wondering... How do you start the championship? 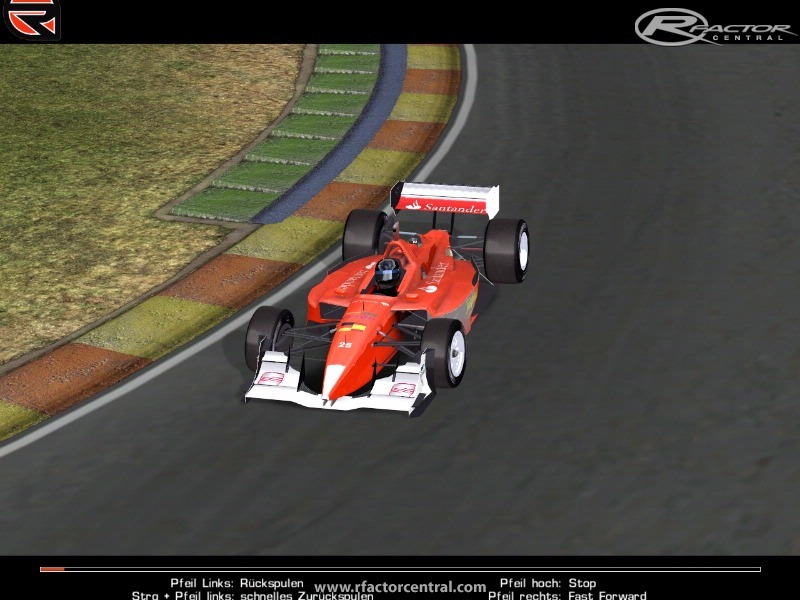 I can't buy any of the cars cos I start with 0 credits and can't gain any within F4 series... any help? I also can't load the F4 tracks in Absolute (all tracks and vehicles) any reason as to why that might be? underpowered? Actually not! 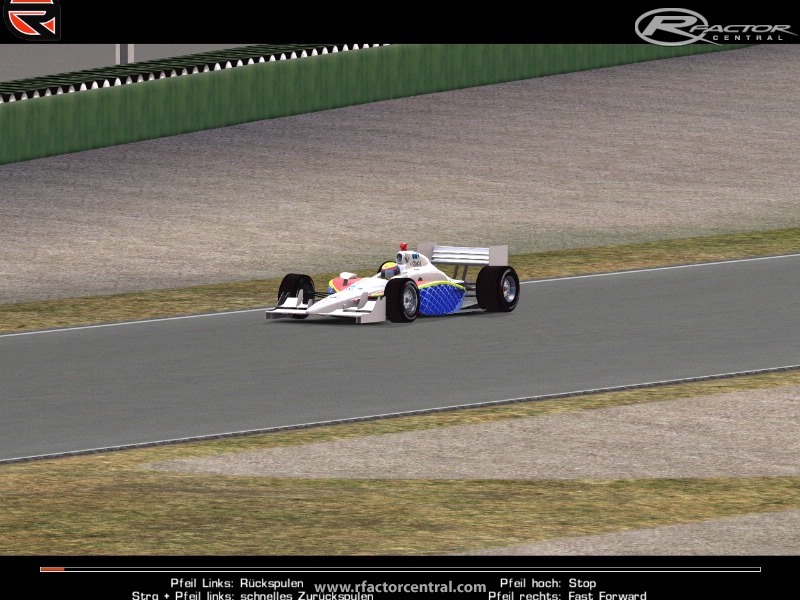 Drive with a V12-car in Monza, low wings and you will get up to 410 kph! Ah, now I know your problem: You have to uninstall first the patchuninstall (v2.1) and then the moduninstall (v2.0), then rFactor will run again. I think you have uninstalled the patch, so the v2.0 won't load. What? That could'nt be possible? Wrong uninstall-file loaded?